This is a free pack of stickers featuring a bunch of pretty charming Aminal. 72 Stickers total right now, more will probably be added in the future! Aminal include Narwhals, Cats, Corgis, Sloths, Unicorns, Walruses, Otters, Koalas, Foxes, and so much more! · Express yourself with a sense of humor, extra flavor, and give people a taste your loved ones will never forget. · It’s unique, creative, funny, colorful, and has something for everyone. 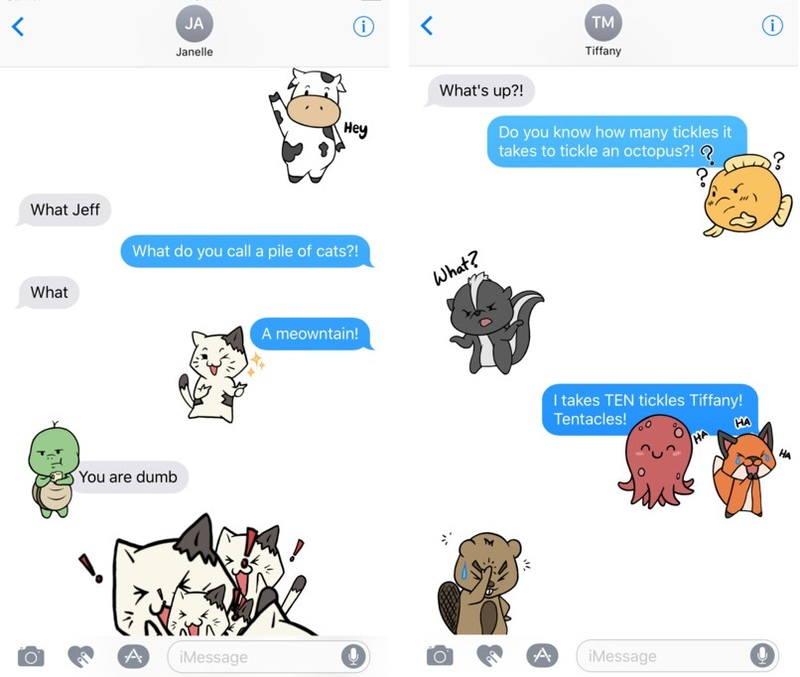 · Stick these awesome stickers on your messages to add a bit more character to your texts or to bother someone who hates stickers or animals!